And we really mean that! 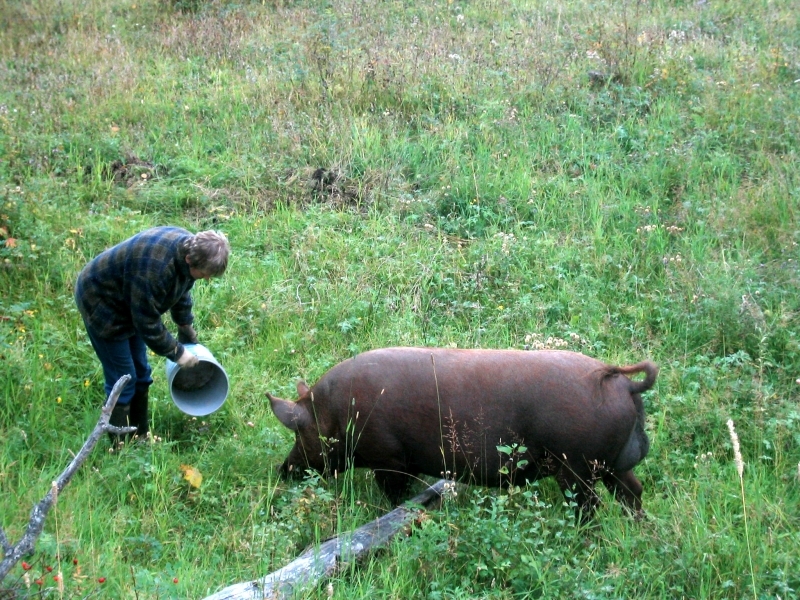 Our heritage pigs (Tamworth- and Large English Black-cross) stay on their pastures the whole year – never alone. They can run around with their friends, take a bath and dig in the soil the whole day! They eat what nature intended them to eat: green grass and herbs, seedlings, worms and bugs. In addition they are fed a supplemental certified organic hog grower with mostly peas and kelp with diatemeceous earth. 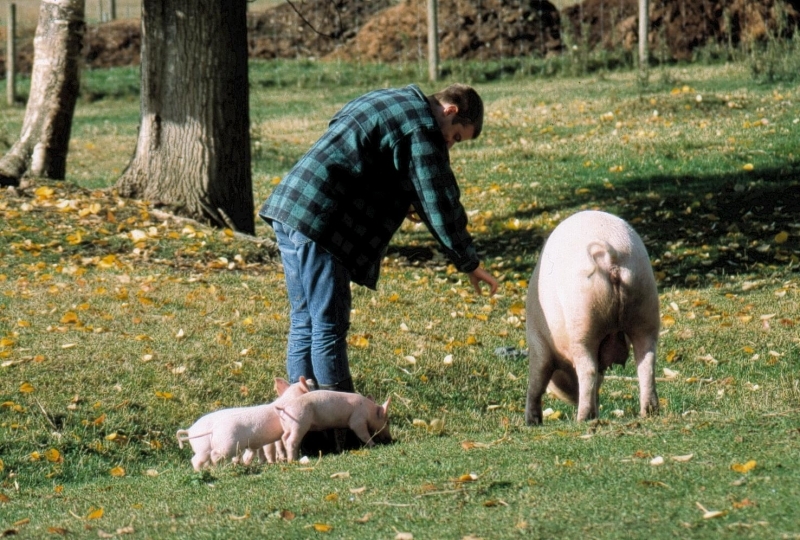 The sows stay in the barn just in winter the first 3-4 weeks after farrowing, but have always access to a big pasture. Already after a few days the little piglets start exploring their surrounding. And because they slip through every fence, they are virtually everywhere.